Hospitality and tourism majors are some of the most active and engaged students on campus. Students take advantage of a wide array of academic, professional, and social activities to enhance their scholastic and career interests. Students also gain valuable experience and develop skills required for success in the hospitality industry. The hospitality and tourism industry is divided into five major service segments: food, lodging, recreation, travel, and convention/meeting. Upon graduation, numerous employment opportunities are available to hospitality and tourism graduates. Students who graduate with a B.S. in hospitality administration have learned the skills necessary for successful hotel and restaurant management. By combining the academic achievement of a bachelor’s degree with practical experience, this program enables graduates to successfully compete for the best positions in the hospitality and tourism industry. -- Culinary Arts, which focuses on developing culinary experience and expertise to manage kitchens and other food-related facilities. Students are required to select one of the three concentrations, but may choose to complete additional concentrations with their elective credits. The hospitality industry is one of the largest in the world, generating more than $452 billion in annual revenues and employing more than 11 million people in the United States. Hospitality and tourism is New York State's second-largest industry. The Hospitality and Tourism Department at Buffalo State educates and trains enterprising students to become leaders in regional and global hospitality and tourism professions. The faculty fosters exceptional student achievement through frequent interaction and guided practical training. Courses within the minor provide for both general and specialized preparation. Resolve customer service and product-related issues. About 60 percent of Buffalo State's hospitality and tourism majors transfer from accredited two-year colleges that offer degrees in hospitality and tourism-related fields. Buffalo State holds articulation agreements with 15 colleges to streamline the transfer process and ensure students receive appropriate transfer credit. 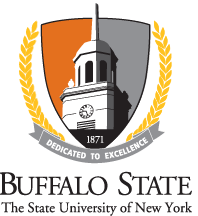 Visit the Articulation Partners page to view the list of college partnerships with Buffalo State.